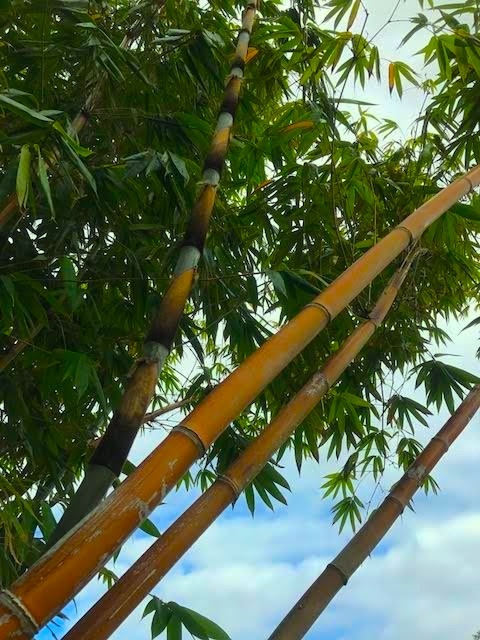 Gorgeous, large plant. The polished canes have beautifully, clearly defined segments and will go burnt orange in the sun. 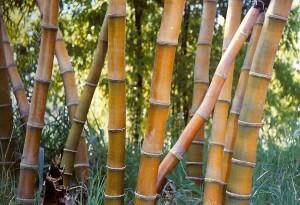 We think this is the ‘red’ bamboo in the the Phillippines, where it is a favorite edible shoot. Anecdotally, we’ve been told that this bamboo is used for moonshine in the Philippines as well as food. 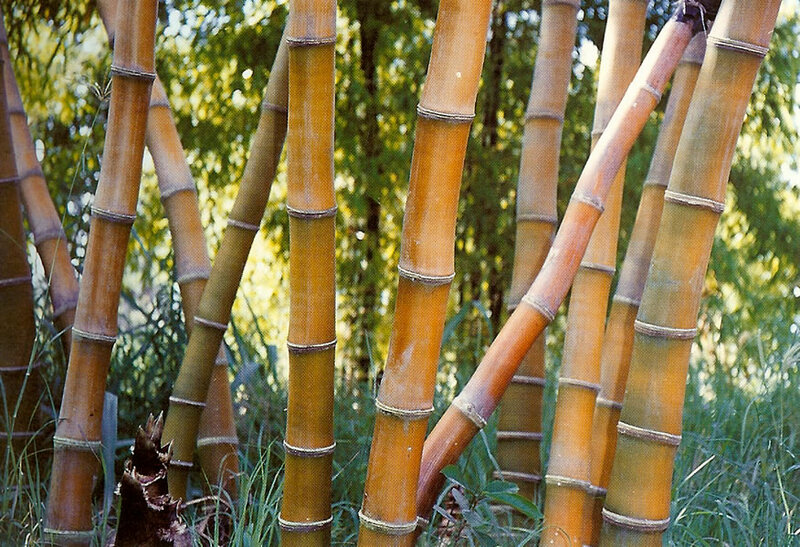 We expect this plant to attain about 50 – 60 feet in height, with 4-8 inch diameter canes. We do not recommend this plant above 2000’. We’ve been using this a bit for construction around the nursery, and it seems to be unusually strong.